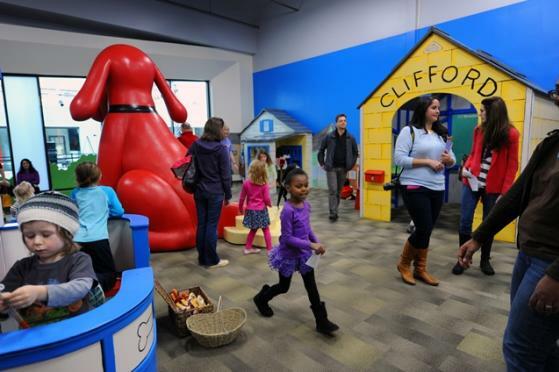 Make, build, explore, and grow at Kidzu Children's Museum at University Place in Chapel Hill! Hands-on and engaging exhibits designed for infants to tweens include North Carolina's only dedicated makerspace for young children - The Makery. New exhibits include a large-scale climbing wall, an immense indoor treehouse, and outdoor learning garden. Beloved exhibits include the Millhouse Market, Building Zone, Book Nook, and Gravitron. Programs focusing on the arts, S.T.E.M. education, literacy, health and wellness are offered daily to enhance the visitor experience. Grown-ups are encouraged to play along as children let their imaginations run wild! Hours: Tuesday-Saturday 10am-5pm, Sunday 1-5pm (1st Sunday of each month is Pay What You Can Admission), Closed Mondays. Admission: $7.50 per adult or child over 12 months (non-members), Members and children 11 months and under are free. Yearly memberships available.